Remove air cleaner and air duct. EM-25, "Removal and Installation". 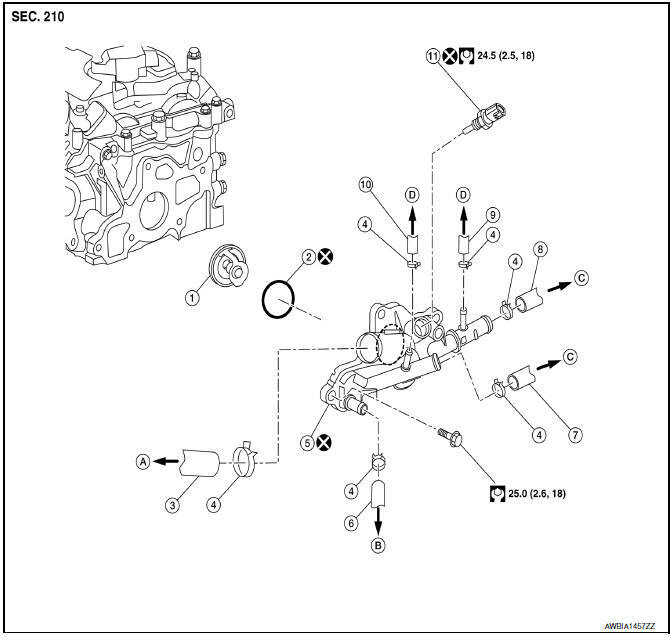 Disconnect engine coolant temperature sensor. Remove radiator hose (upper), water hoses and heater hoses from water outlet. Remove water outlet bolts and remove water outlet and rubber ring with water control valve. Remove engine coolant temperature sensor from water outlet, if necessary. Place a thread (A) so that it is caught in the valves of the water control valve (1). Immerse fully in a container (B) filled with water. The valve opening temperature is the temperature at which the valve opens and the water control valve falls from the thread. The full-open lift amount standard temperature for the water control valve is the reference value. If valve setting at measured values are out of standard range, replace water control valve. Install the engine coolant temperature sensor if removed. Use Genuine RTV Silicone Sealant or equivalent. Refer to MA-11, "Fluids and Lubricants". Do not reuse water outlet. 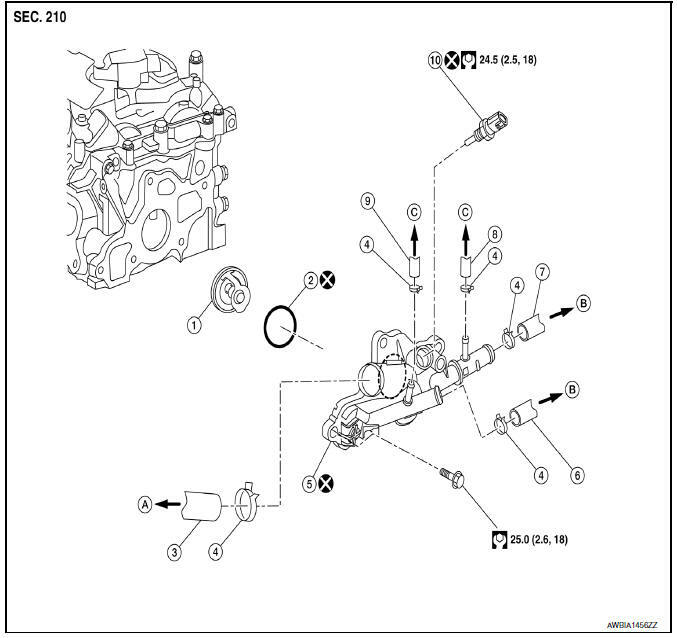 If removed, do not reuse engine coolant temperature sensor. 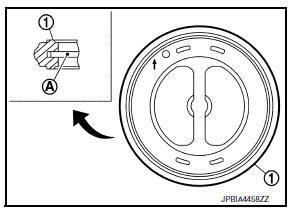 Install water control valve with the rubber ring (1) groove fit onto water control valve flange (A). 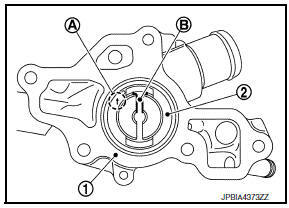 Install water control valve (2) with the arrow (A) facing up, and the frame center part (B) facing engine.